It’s music I made almost a year ago now based on my favorite character from my favorite TMNT series. Let me know what you guys think! EDIT: apologies for not formatting the link properly: started the thread on my phone. Last edited by 80gmrp; 09-25-2018 at 06:05 PM. Nicely done! It's exciting to see TMNT inspiring musicians such as yourself. The ability to create music like this is a skill that always impresses me. I hope you will continue to find inspiration and share your works with us. Thanks a lot for listening! It truly means a lot! I actually have streamed my working on music every so often, if you wish to learn how I personally approach it. Either way, I do appreciate the interest. How do you listen to it? Maybe it's not working because I'm using my phone. Apologies for that: dA only permits audio to be uploaded as Flash files. I can also provide a temporary mp3 link if necessary. Followup to the fan theme for Leatherhead: a theme for Donatello. Not 2003-relevant, but I figure I can reuse this thread for all of my fan music. 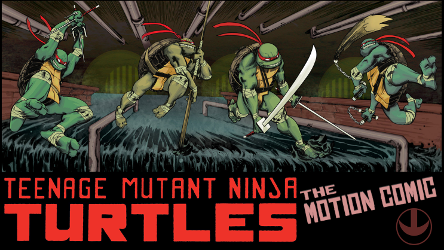 This was music made last year for a TMNT fanbook, whose link is in the description. Remix of the credits music. Awesome! They sound like they came straight out of the show and the Konami games! Are you planning on doing more? As for whether I'll do more, I am considering doing another remix of the first Konami game on my own, but otherwise, I've more often been trying to get commissions, including from other fans, and in those circumstances, I'd prefer to be at least somewhat original with my work, as opposed to a remix or cover, for copyright reasons. Most of you are probably wondering, why am I posting a cover of a Christmas carol in a thread like this? The answer, other than that I made this arrangement in light of the upcoming holidays, is that I was thinking of Leatherhead when I picked out the two instruments used for this, especially since the only time we've seen him at Christmas time in any era to my knowledge is in the travesty for him that was IDW Urban Legends #5. The drone represents his edginess while the innocent-sounding bells depict his desire to belong even in IDW, with a very faint touch of hope for the future as the piece progresses. Whether people think it works or not, enjoy this holiday music all the same.